When I packed for Bali, I made a conscious choice in packing this floral print maxi dress, that looked slightly like the traditional sarongs that local Balinese people wear. My boyfriend shot me at our wonderful villa, Lodtunduh Sari, and this dress went beautifully with the rich green rice paddy fields that were found everywhere in Ubud. As I've said in my last post, Ubud is my favourite place in Bali because of the arts and the more laid back lifestyle that you can find there. 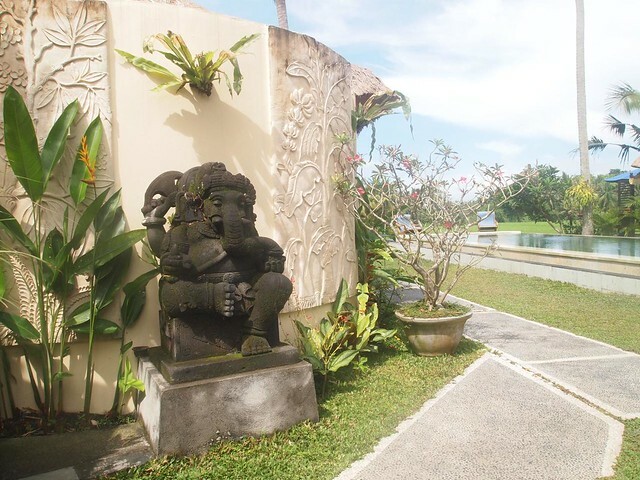 Ubud is home to two famous Bali art galleries - Museum Blanco, a small museum of Antonio Blanco's works, and ARMA, a museum exhibiting local Balinese artists. Besides these two official museums, you can find small photography and art galleries about, as well as numerous shops along the roads specializing in wood carving, painting, silver-making, batik, glass, stone and many more. While you're there, you can also get yourself pampered in the many massage and beauty parlours about, or you can sign up for yoga classes just right next to the rice paddy fields. Jalan Monkey Forest and Jalan Haloman are the two main roads you should definitely explore - the roadside shops sell handmade clothes and accessories of good quality and the cafes are also really really good. You should definitely try the vegetarian food at Clear Cafe at Jalan Haloman when you're there. After days of eating oily Indonesia food, the oil-free vegetarian meal at Clear Cafe was a great reprieve and I felt so happy and refreshed after eating it. I enjoyed my stay at Lodtunduh Sari immensely, even though its compounds were rather small, but it was very comfortable and cosy. 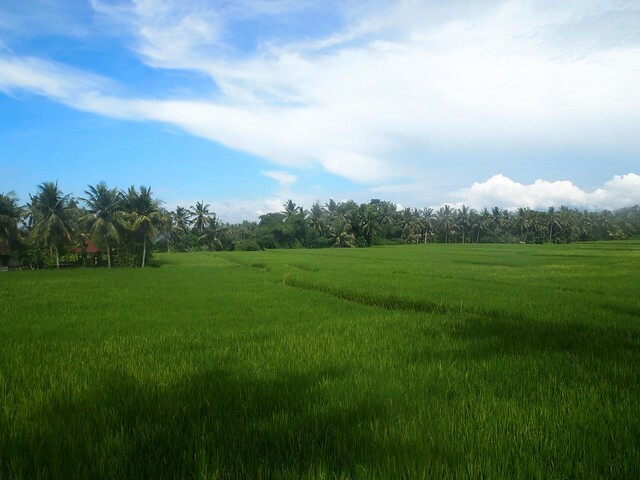 Lodtunduh Sari was built just in 2011 and houses 5 small villas and 2 big villas, complete with a pool and that breathtaking view of the rice paddy fields. Each villa is fenced in and comes with a small pool and outdoors showering. 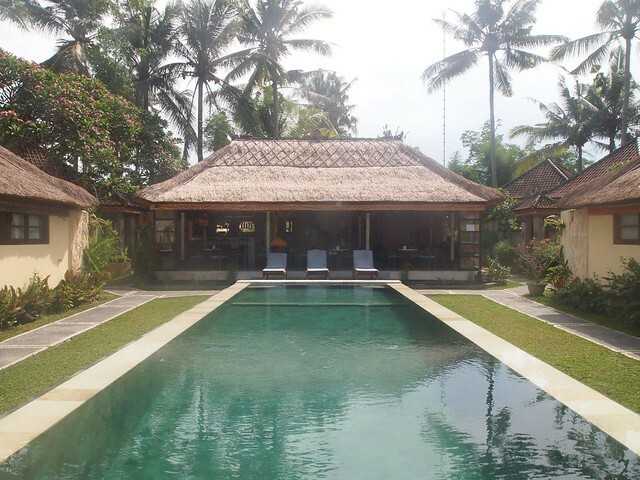 The best part was that the location of the villas were away from the hustle and bustle of the central of Ubud, where there's a lot of people, so at night it was really really very quiet. Not to mention the hotel staff cook up the best banana pancakes ever, served with freshly cut fruits and coffee/tea. where's your maxi dress from? beautiful!